I was interrupted in the heyday of this soliloquy, with a voice which I took to be of a child, which complained “it could not get out.”—I look’d up and down the passage, and seeing neither man, woman, or child, I went out without further attention. In my return back through the passage, I heard the same words repeated twice over; and looking up, I saw it was a starling hung in a little cage.—“I can’t get out—I can’t get out,” said the starling. I stood looking at the bird: and to every person who came through the passage it ran fluttering to the side towards which they approach’d it, with the same lamentation of its captivity.—“I can’t get out,” said the starling.—God help thee! said I, but I’ll let thee out, cost what it will; so I turn’d about the cage to get to the door; it was twisted and double twisted so fast with wire, there was no getting it open without pulling the cage to pieces.—I took both hands to it. The bird flew to the place where I was attempting his deliverance, and thrusting his head through the trellis, press’d his breast against it, as if impatient.—I fear, poor creature! 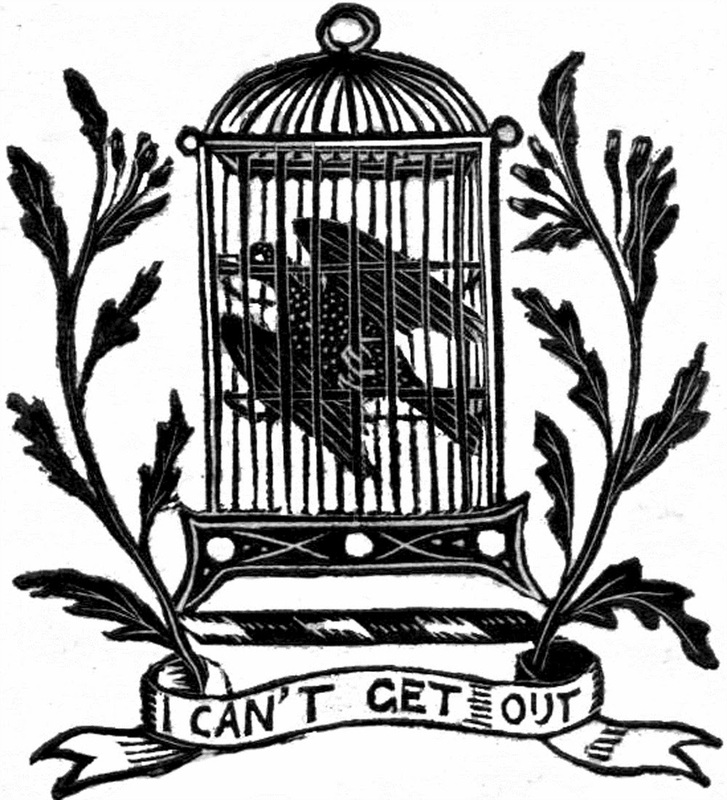 said I, I cannot set thee at liberty.—“No,” said the starling—“I can’t get out—I can’t get out,” said the starling. I vow I never had my affections more tenderly awakened; or do I remember an incident in my life, where the dissipated spirits, to which my reason had been a bubble, were so suddenly call’d home. Mechanical as the notes were, yet so true in tune to nature were they chanted, that in one moment they overthrew all my systematic reasonings upon the Bastille; and I heavily walk’d up-stairs, unsaying every word I had said in going down them.